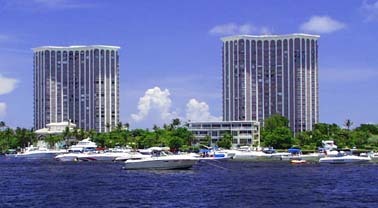 Boca Raton, Florida is known around the country for its well to do lifestyle and flashy shopping and dining. Boca Raton is a favorite winter home for northeasterners trying to escape the ice and snow for South Florida's tropical climate. Boca Raton offers visiting tourists miles of beautiful beaches, fishing, scuba diving, golf and some of the best tennis in the country. 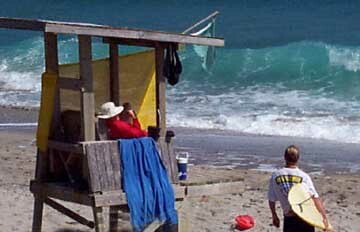 Boca Raton's great outdoors can be enjoyed year round. Like many South Florida cities, Boca Raton was founded after railroad magnate Henry Flagler forced his railway further south. 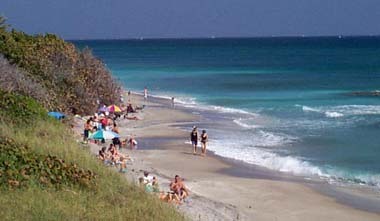 After an early rural existence growing fruit and pineapples, Boca Raton was developed as a vacation spot for wealthy northerners. The city has gained a reputation as a home to the rich and famous, the Boca Raton airport is the base of operations for more private jets than anywhere else in the nation. In addition to its exclusive reputation, Boca Raton is home to arts and cultural institutions such as the Boca Raton Museum of Art, the Caldwell Theatre, the Children's Museum, the Little Palm Family Theatre and the International Cartoon Museum in Mizner Park. Fine arts are also represented by the Boca Pops, the Boca Ballet Theatre Company, the Florida Philharmonic Orchestra and the Harid Conservatory. Boca Raton was the long time home of IBM and was the birthplace of the PC computer revolution. High fashion and fun are available at the Town Center of Boca Raton and Mizner Park. 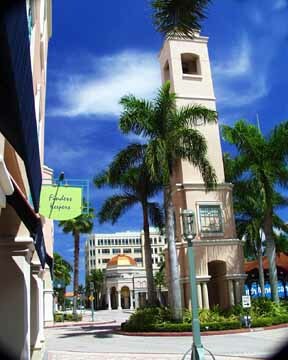 Mizner Park is located in downtown and features fine dining at Max's, bookstores, boutiques, the cartoon and art museums and an outdoor performing theater. Town Center features famous stores such as Lord & Taylor, Bloomingdale's, Crate & Barrel, Williams-Sonoma and Abercrombie & Fitch. Gumbo Limbo Environmental Center is a unique educational site where children and parents can learn about the Florida environment and even touch live starfish and marine plant life. The Loxahatchee Wildlife Refuge is west of Boca Raton with hundreds of acres of wetlands, alligators, white cranes and canoe trails. Boomer's Family Recreation Center is a huge place where kids can run wild playing arcade games, video or sports games or take a turn in the batting cage. A stay in Boca Raton will place visitors in the middle of South Florida's action. The city is only about an hour's drive from Miami and the resurgent nightlife of South Beach. Fort Lauderdale is just down Interstate 95 and more adventurous travelers can make the trip to Metro Zoo, the Everglades National Park or the Florida Keys. A famous aspect of Boca Raton is the pink architectural designs of designer and builder Addison Mizner. Mizner was the man who created so many Mediterranean style buildings in Boca Raton. The centerpiece of the Boca Raton Resort & Club is the Cloister hotel, which Mizner created in 1926. Today, hundreds of buildings of all sizes and shapes are painted in Mizner Pink with many housing developments and businesses using his name for recognition. The Boca Raton Resort & Club is perhaps the signature site in the city with its pink tower rising 27 stories above the Intracoastal Waterway. The resort offers fine dining, charter fishing, two golf courses and championship tennis to its guests. During the Second World War, the resort was used to house troops that trained at the nearby air base. After the war, the air base was converted to civilian use and Florida Atlantic University was founded in 1964 with President Lyndon B. Johnson leading the dedication.